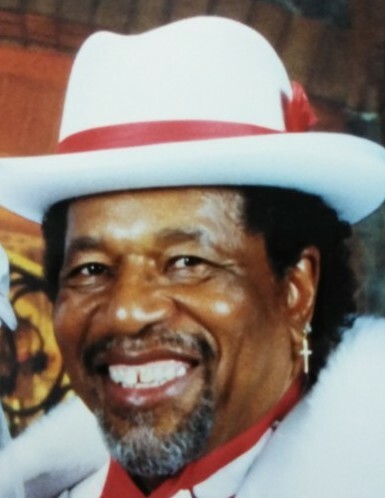 Edward Wilson, Jr. (known by his friends as Willie) was born on July 1, 1936 in Alexandria, Louisiana. He was the only child born to Edward Wilson, Sr. and Elizabeth Jones. Willie was raised by his grandmother Adeline Dixon and later by Elviney Phillips who continued with his upbringing. He was preceded in death by his parents, grandmother, and stepson Ricky Martin. Willie left Alexandria after high school and joined the United States Navy. He served 30 years, both active and inactive, retiring honorably at the rank of MS2 (SS). Willie enjoyed serving his country in various places around the world and he especially enjoyed his time serving on Submarines. During his military career, he received the National Defense Service Medal. After retiring from the Navy, he worked as a club manager at Ballas Point in Pont Loma and Miramar Naval Air Station where he served on the food and beverage committee. Willie also worked for Bell Junior High for 10 years. Willie studied at National University in San Diego. Everyone who knew Willie knew how much he loved his wife Gladys of 21 years. They did everything together and enjoyed friends and family and entertaining at their home. Willie loved fashion and he stood out because of his love of clothes; you almost never saw him in the same suit twice. He was a very outgoing person and would hold conversations with everyone he met. Willie often supported the Men of Bethel in their Men’s Day fashion show. Willie was a big fan of the Blues, but oh, how he loved Gospel music, especially gospel artist Lee Williams! After Gladys’ retirement, Willie fulfilled one of his life-long dreams of returning to Alexandria. They joined the community and faithfully attended Second Union Missionary Baptist Church, Alexandria, LA under the leadership of Reverend Joseph Martin, Jr.
On March 18, 2019, God called Willie home to glory. Willie leaves to celebrate his life and cherish memories, his lovely and devoted wife Gladys Wilson (San Diego, CA); half-sister Julia Snells (Rosedale, LA); children Edward Wilson, III and Shawn Lofton (San Diego, CA); special sister-in-law Dottie Johnson Phillips (Robert), her son Rodney and her brother Keith Johnson; goddaughter Danelle Picou (Sacramento, CA); godson Steve Phillips (Alexandria, LA); stepsons Anthony Martin and Brad Martin (San Diego, CA); grandchildren Marquis Wilson (Las Vegas, NV), Linda Wilson (Texas), Derrick Payne (San Diego, CA), Cherelle Lofton (San Diego, CA), Everette Lofton, Jr. (San Diego, CA), Tyler Wilson and Edward Wilson, IV (Mexico), Hailey Wilson (Phoenix, AZ) and a host of great-grandchildren, relatives and friends.